As part of the Centre for Governance, Institutions and Organisations (CGIO) annual Masterclass Series, the masterclass on ‘Integrated Thinking and the Future of Corporate Governance’ took place at the National University Singapore. Professor Mervyn E. King, Chair Emeritus of the International Integrated Reporting Council (IIRC) and Chairman Emeritus of the Global Reporting Initiative (GRI) delivered the keynote lecture, ans Ms Turid Solvang, Founder & CEO, FutureBoards gave the introductory presentation, followed by a panel discussion moderated by CGIO's director, Professor Lawrence Loh. For more information, please click here. The third FutureBoards Cross Border Dialoge on Women on Boards in Singapore took place at the iconic Tanglin Club, The event was hosetd by the Royal Norwegian Embassy to Singapore, and supported by BoardAgender, Singapore Institute of Directors, Norwegian Business Association Singapore, Malaysian Alliance of Corporate Directors and DNB. Please click here for full program. Organized by Human Capital Leadership Institute (HCLI), the Directors in Dialogue work-shop was facilitated by globally renowned corporate governance thought leader Professor Mervyn King, Chair of the King Committee on Corporate Governance for South Africa and Turid Solvang, Founder and CEO of FutureBoards. Please click here for more information. The issue of gender balance on corporate boards in Malaysia is not new, but continues to be debated given the business and economic imperative. The event was organized by the Malaysian Alliance of Corporate Directors to discuss HOW to improve th egender balance on corporate boards. Please find full program here. The first FutureBoards Cross Border Dialogue on women on boards in Malaysia was organized in collaboration with Malaysian Alliance of Corporate Directors. The event was kindly hosted by the Royal Norwegian Embassy to Malaysia. Please click here for full program. 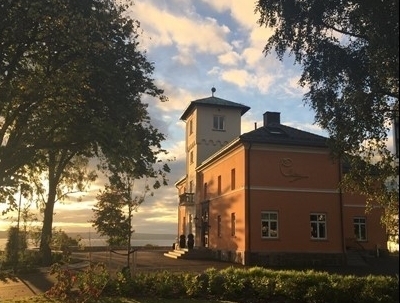 Frokost, erfaringsutveksling og diskusjon på Chitra House Oslo. Pål Wien Espen, Interim General Counsel, Flyktningehjelpen/Special Counsel, WikborgRein (tidligere styresekretær i Telenor ASA) og Mimi Berdal, styreleder Gassco AS delte sine erfaringer og synspunkter som innledning til debatten. Møyfrid Øygard fra Admincontrol ga praktiske råd og tips om sikker og effektiv dokumenthpndtering. Thanks to excellent panelists David Styles, Director Corporate Governance, Financial Reporting Council | Deborah Gilshan, Environmental, Social and Governance Investment Director, Aberdeen Standard Investments/Co-Chair 30% Club Investor Group and Founder The 100% Club | Carine Smith Ihenacho, Chief CG Officer, Norges Bank Investment Management | Knut Brundtland, Group CEO ABG Sunndal Collier, and to Dina Medland, independent writer, BoardTalk, for moderating the discussion. Thanks to all attendants for coming, for listening and sharing your views and ideas. A warm thanks to the speakers for their insightful presentations and inspiring thoughts. Big thanks to Ms Mona Juul, Norway’s Ambassador to UK for hosting the event. Thanks to Her Excellency’s team; Martina Østerhus, Christine Hauan Hauge and Lea Ytrehus for immaculate organization. And last, but not least, thanks to ABGSC Women in Finance Foundation for supporting the event! Financial Times "CFO-Dialogues" is an exclusive, invitation-only event for leading, cross-sector CFOs and their successors. FutureBoards is proud to be an official supporting partner. Read more. Mr Ong Boon Hwee, CEO and Joanna Soh Py, Vice President of Stewardship Asia Centre (a part of Singapore’s Temasek Holdings) visited Oslo on a learning journey on Norwegian Ownership Principles, Corporate Governance framework and ownership structures. 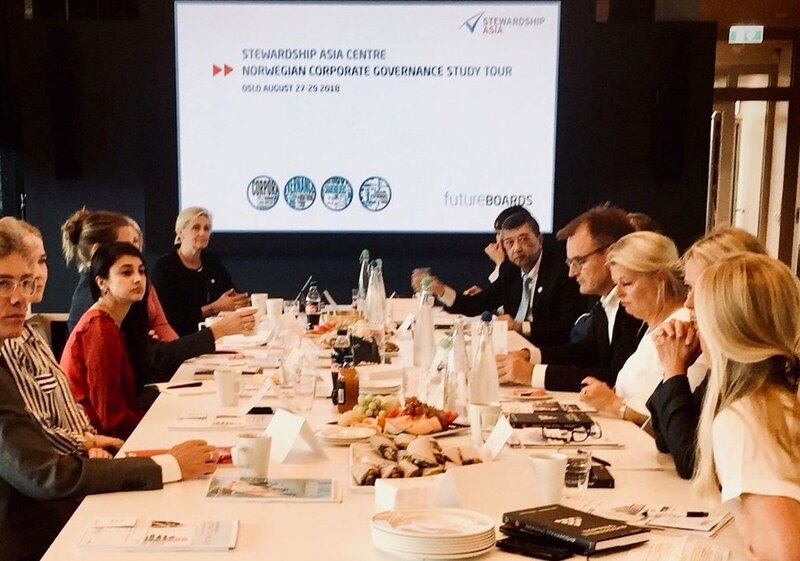 As a part of their program, the Stewardship/Corporate Governance Roundtable Discussion took place at Wikborg Reins Executive Lounge at 13.00 - 15.00 on August 29. Please click here for more information. “How to create value adding boards” is a one-day training session for female entrepreneurs with growth ambitions - developed by FutureBoards, commissioned by Innovation Norway. The event is practically orientated focusing on how companies can create a board that aids them to success. Read more. By allowing the exchange of ideas and sharing of experiences, the event aimed to explore ways to achieve the Diversity Action Committee’s recommendation of 20% women by 2020 on the boards of the 100 largest listed companies of SGX. For more information, read the DAC’s report. 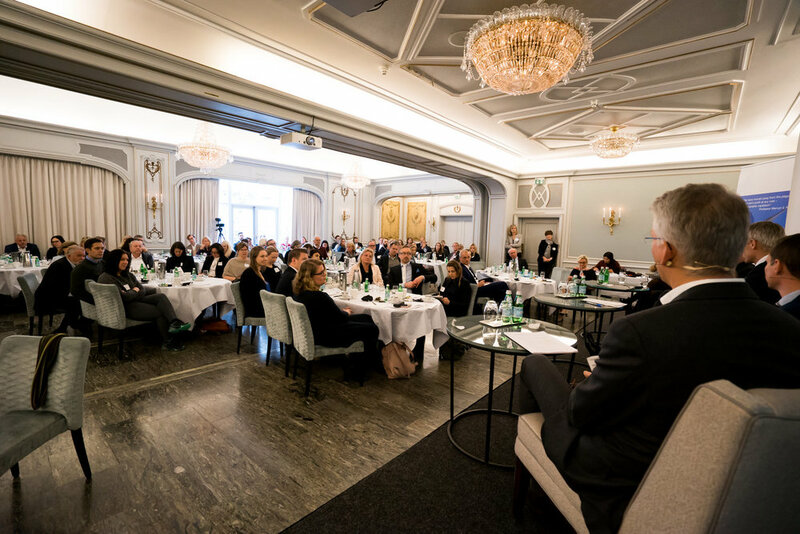 FutureBoards Summit 2017 was organized on November 14, as a masterclass /roundtable discussion in the memorable setting of Chitra House in Oslo. The event was organized by FutureBoards, in cooperation with EY Center for Board Matters. Read more. This lunch event, organized by FutureBoards and NORSIF, was an unique occasion to meet, discuss and exchange ideas on the future of corporate governance with Professor Mervyn E. King. Read more. 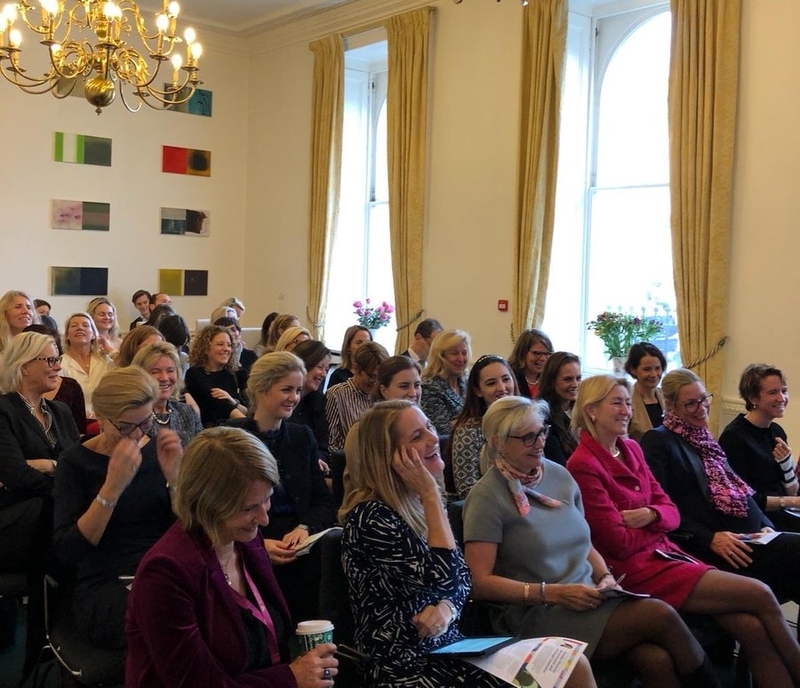 The event was organized as a part of a FutureBoards study tour for Norwegian female board members to get in-depth knowledge about the EU system and processes. Please find full program for the mini-seminar here, and read article "Sharing Norway’s experience with gender quotas for boards" here.